Staff at Wood River Health Services in Hope Valley were raising funds and awareness during February's National Heart Health Month by participating in a special Go Red for Women Dress Down Day. 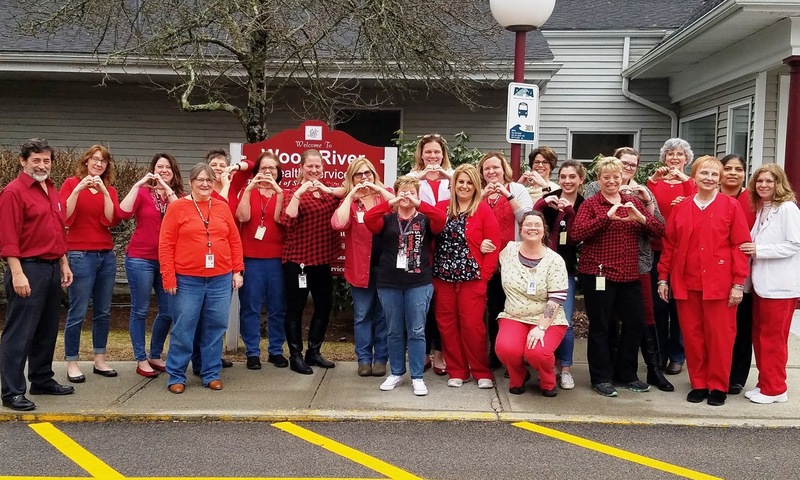 Staff members raised over $200 by selling paper hearts and Go Red for Women dress pins. Learn more or donate to the American Heart Association at http://www.heart.org.